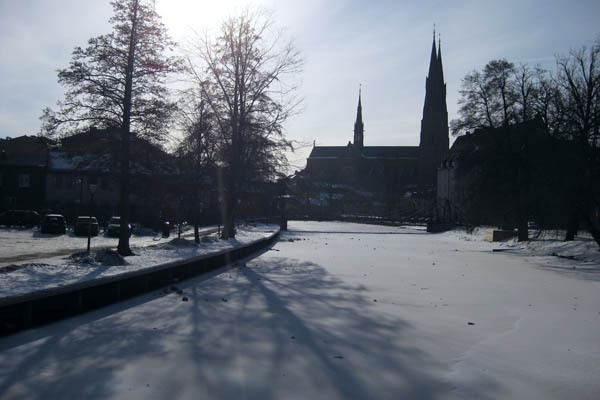 I spent all of March in Uppsala, Sweden, working on my thesis and searching online for jobs and an internship to finish up my degree requirements. I didn’t take a whole lot of photos as I spent most of my time in my apartment or in the library, away from natural light and human time schedules. It wasn’t particularly warm when I arrived in Sweden – definitely nothing close to the 30+ weather I’d been experiencing in Burma a few days earlier! 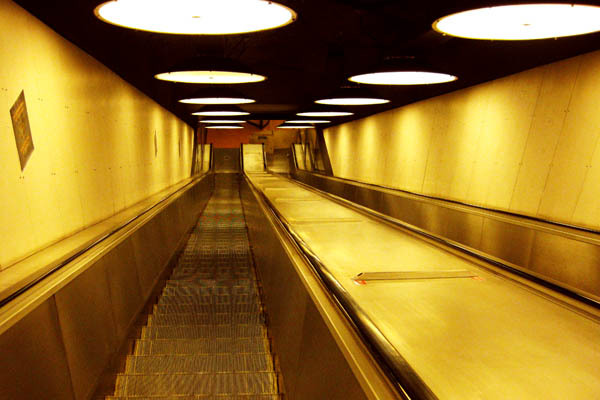 After arranging an internship through a contact I made on a train in Burma, I headed to Stockholm to get a visa to enter China. 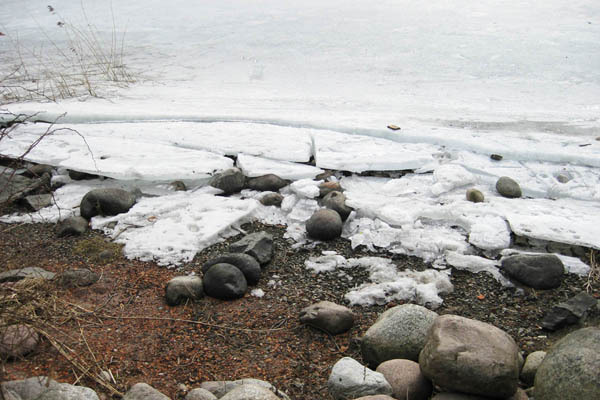 Walking back from the embassy, which is in the middle of nowhere past the Djurgården area of town, the water was really well frozen. Check out how thick this saltwater ice is – at least 4 inches! 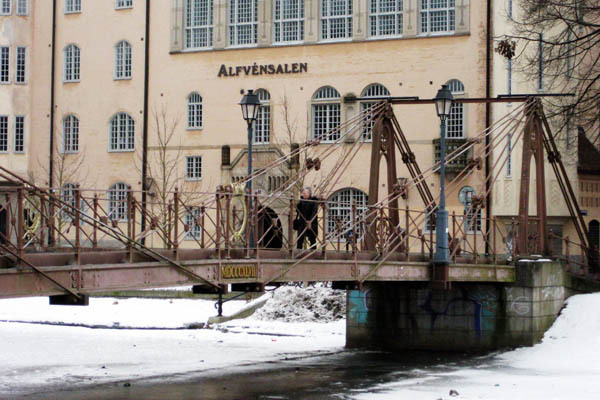 Back in Uppsala, when I wasn’t being a hermit in my apartment or the library, I was generally cycling to one café or another to catch up with friends. 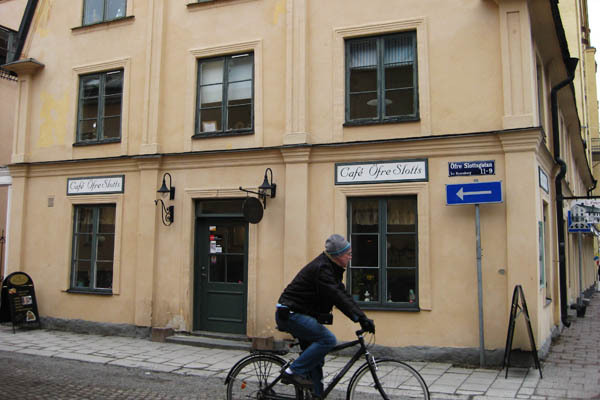 This is one of the many, many nice cafés in Uppsala. 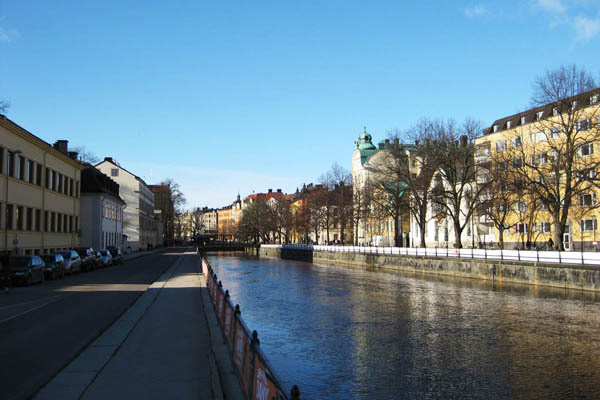 Going for fika is definitely one of the best things about Uppsala, and perhaps Sweden as a whole. 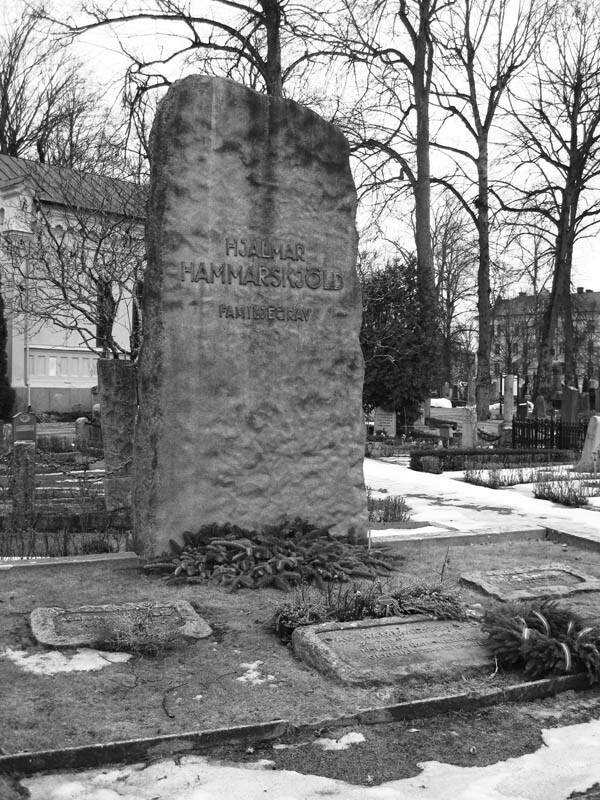 When my friend Namiko (she studied with me in New Zealand, years ago) was visiting for a few days, I took her to the cemetary next to my area of the university to show her the family grave of the Hammarskjöld family, which includes the grave of Dag Hammarskjöld, the celebrated 2nd Secretary General of the UN who died after his plane crashed (perhaps shot down) in Africa in 1961. We also headed over to the castle, where I showed her the cannon pointed toward the cathedral. 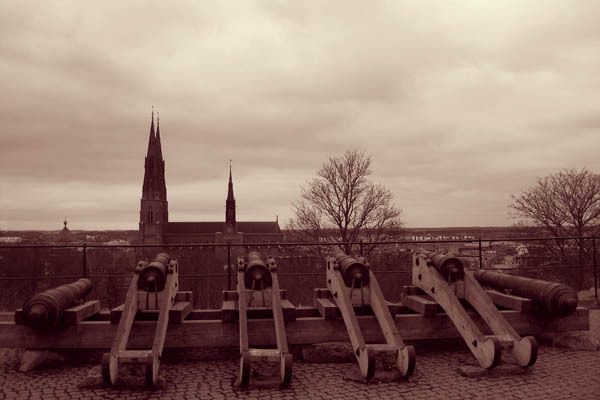 Many years ago, in order to maintain his position of power, the king arranged for these cannon to point directly at the cathedral so that the head of the Church of Sweden would think twice before doing anything to challenge the power of the king. 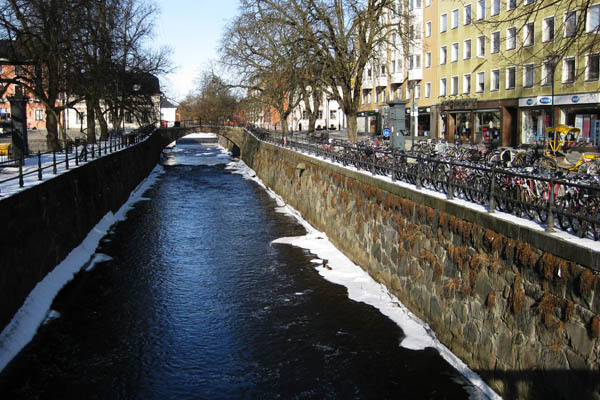 This entry was posted in Europe, Sweden and tagged Master's thesis, NOHA, Uppsala.